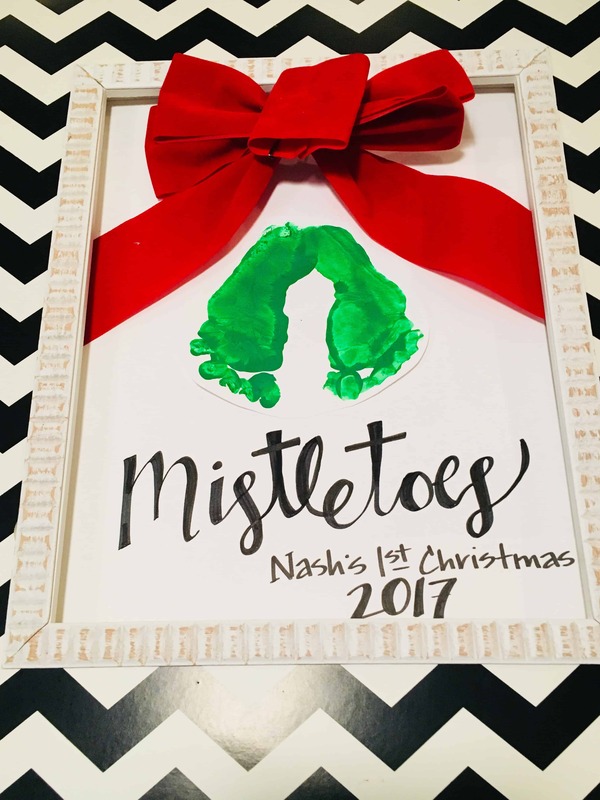 Create Mistletoe Footprint Art to get in the holiday spirit and remember your child’s first Christmas for a lifetime! Celebrate your baby’s first Christmas! There are so many Christmas crafts to make during the holidays, but Baby Mistletoes are one of our favorite holiday crafts. …especially if this is baby’s first Christmas. Capture those little baby toes as little mistletoes! But, how do you make Christmas Baby Mistletoes…? 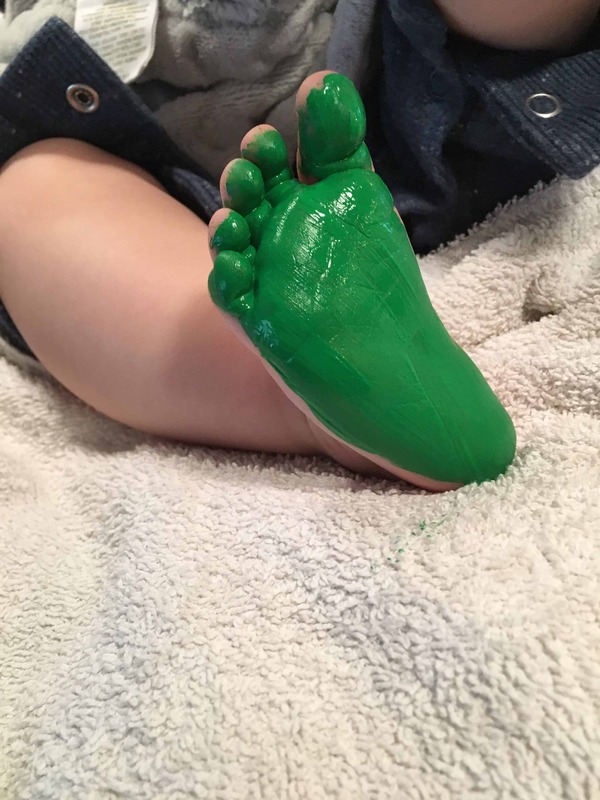 Your baby’s little bitty footprints won’t last for long, so this holiday season get the craft paint out for the perfect holiday craft. Step 1: Have one person hold the little baby (good luck) while the other paints a foot using the foam brush. Pro tip: Do one foot at a time so you don’t have to worry about a kicking baby getting paint all over you. Step 2: Have the canvas on a flat surface and press the foot down to make a clear foot print. Press hard to ensure you get all parts of the little foot! Step 3: Clean the first foot with the baby wipes then paint foot number two and press down on the canvas. Make sure that you stagger the feet a bit apart. You will have your mistletoes! Step 4: Decorate your baby’s mistletoes! Paint bows using red paint and a thin brush. Write “Mistletoes” below the feet. Embellish with an actual bow instead of paint, faux holly leaves and cherries or jingle bells. Decorate around the mistletoe with Christmas colored paint using the toilet paper cardboard for circle rings or circle shaped foam brushes. 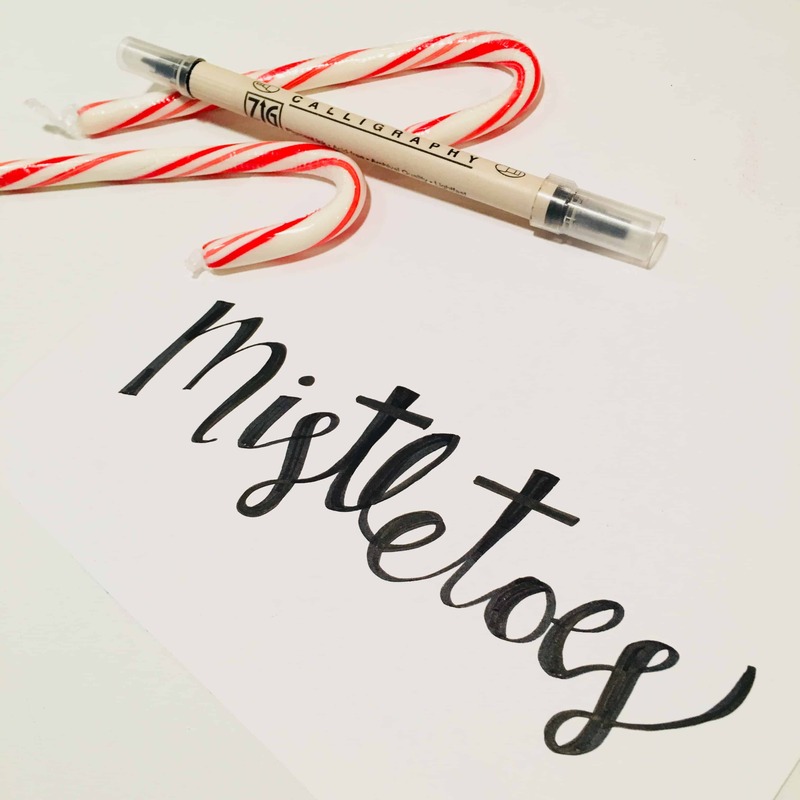 If you are nervous about your writing out “Mistletoe” with your own handwriting in paint, use glitter stickers! Finish off with writing your child’s name and the year. This is a for sure way to capture a special moment that will last forever…and an easy Christmas craft for kids. Even with the messy little feet, you are sure to have some fun and lasting memories with your little one. Got other holiday crafts and Christmas creations you like to make with your kids? Drop ’em in the comments below! We love Christmas crafts for kids, so we are always looking for new ideas. Also, stay up to date on everything holidays in Kansas City with The iFamilyKC Scoop. Sign-up for The Scoop now! You will get our holiday light guide, exclusive invites to events, movie premieres, Kids Club Events, AND special discounts & coupons. Why not..? !